Getting your Car Ceiling Detailed. Somewhere along the line you’ve probably put some thought and maybe even some effort into keeping your car clean. You know that the best way to make sure your car is really clean is by taking it to a professional car detailing company. But have you ever thought about the importance of cleaning your car’s ceiling? Odds are if you’ve done any kind of interior cleaning on your car you’ve ignored your ceiling. There’s a pretty good chance you’ve even gone to a professional and had them forget to completely clean your car’s ceiling. Since you have to keep your eyes on the road while driving, you might not always notice a stain or dust on your car ceiling, but that doesn’t mean you should avoid cleaning it. Why is it important to get your car ceiling cleaned? Most of the residue on your ceiling will be dust, but that doesn’t mean there aren’t any germs. If you smoke inside your car or somebody else has smoked inside the car at some point, there’s probably some leftover residue from the cigarettes on the ceiling. You probably haven’t spilled any drinks on your ceiling, but nothing’s impossible. Either way, if you’re going to take the time and effort to properly detail your car—or pay somebody else to do it—you want to make sure your ceiling is cleaned properly. Germs can grow anywhere and observant people will notice stains, even if they’re on the ceiling. How does a company clean your car ceiling? Since there are so many different materials used in a car, each part of the car requires a different method of cleaning. 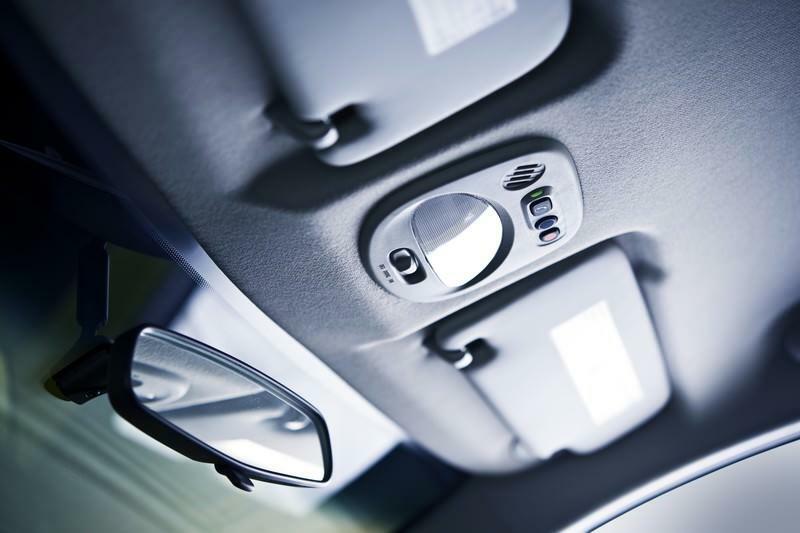 We use a special material on your car’s ceiling that quickly and easily removes stains and dust. Any professional car detailing service should be able to tell you more about the material they use to clean your car’s ceiling. Is cleaning the ceiling part of any interior package? What you find in an interior car detailing package can vary pretty widely from company to company. At Wash Me Now, when you purchase an interior auto detailing package you can be sure your car’s ceiling will be cleaned properly. It’s already included in all of our interior packages. Our packages are meant to be comprehensive enough to make your car feel like it’s brand new. Cleaning the ceiling properly is just one aspect of doing a good job. What about getting the ceiling of a larger vehicle cleaned? No matter what kind of vehicle you have, at Wash Me Now you can get the ceiling properly cleaned. We do both interior and exterior detailing for everything from Volkswagon Beetles to double sleeper trucks and even commercial buses. Whatever size your vehicle is, we can clean it. All our trucks come with mobile washing units specifically designed to be powerful enough for any vehicle you’ll find driving on Ontario roads. You might not think about it much, but the cleanliness of your car’s ceiling is pretty important. If you don’t believe us, maybe it’s time you purchased an interior car detailing package from Wash Me Now. Once your ceiling has been properly cleaned, you’ll realize just how important it is.